While there is no light you can use the tools provided with GMod to create your own light for your scenes. Keep in mind that this was made for personal use, and was built with setting up dark scenes in mind. 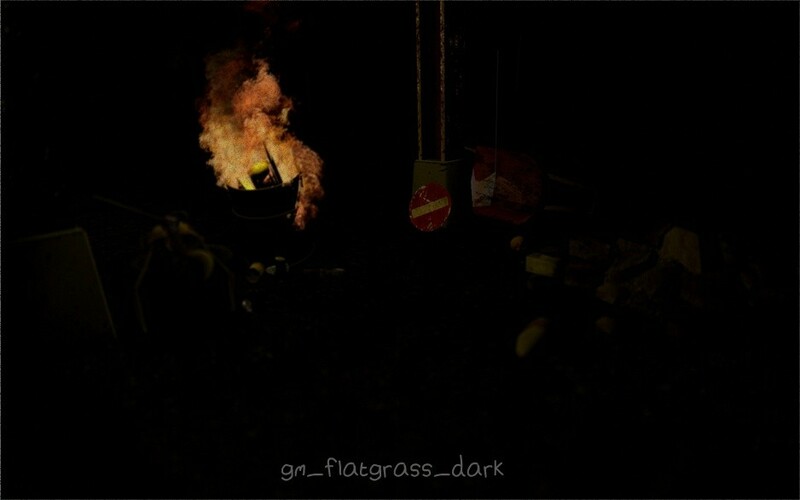 I give credit of this map to Garry, for the original flatgrass and _Kilburn for the original idea, his map was bugged though.